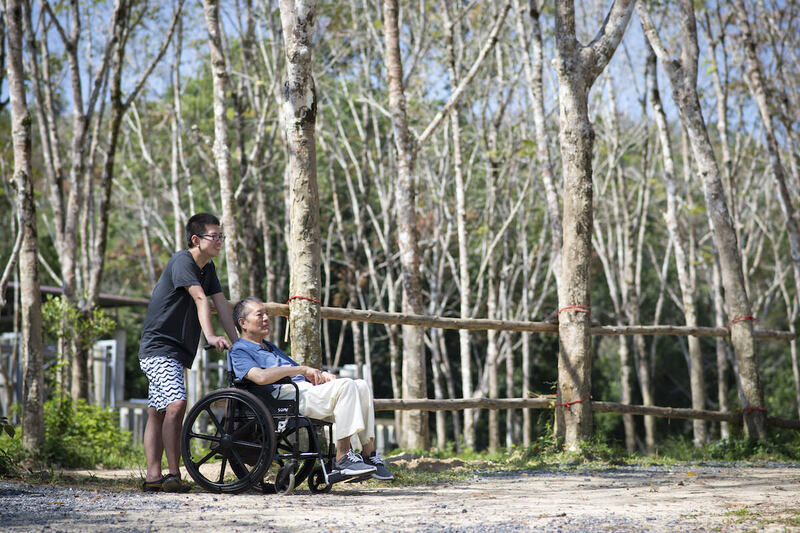 A dedicated and experienced guide will personally take you through our regular morning or afternoon program, giving you the opportunity to gain in-depth knowledge of our work and the elephants at Phuket Elephant Sanctuary. 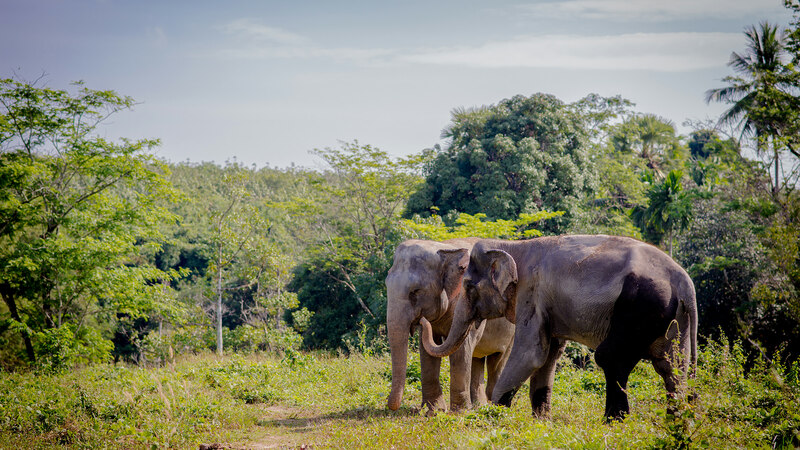 You will have the opportunity to get up close with the elephants during a private feeding moment, followed by observing the elephants during a walk through the sanctuary with your personal tour guide. At the end of the program a sumptuous vegetarian Thai buffet awaits, with private seating overlooking the lagoon and jungle. 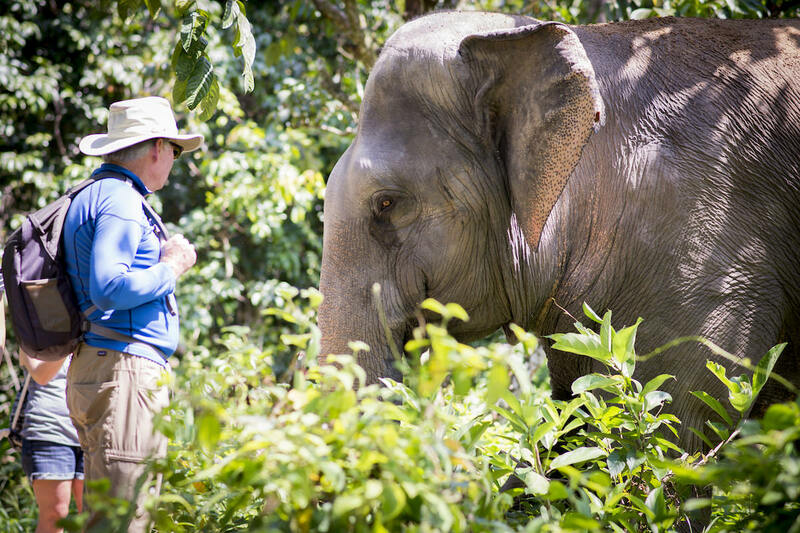 The private tour guide is ideal for individuals or couples looking for a special experience as well as for smaller groups of elephant lovers. A truly intimate and once-in-a-lifetime experience. During your VVIP visit you have the entire sanctuary to yourself, allowing you to spend some quiet and serene hours alone with the elephants. 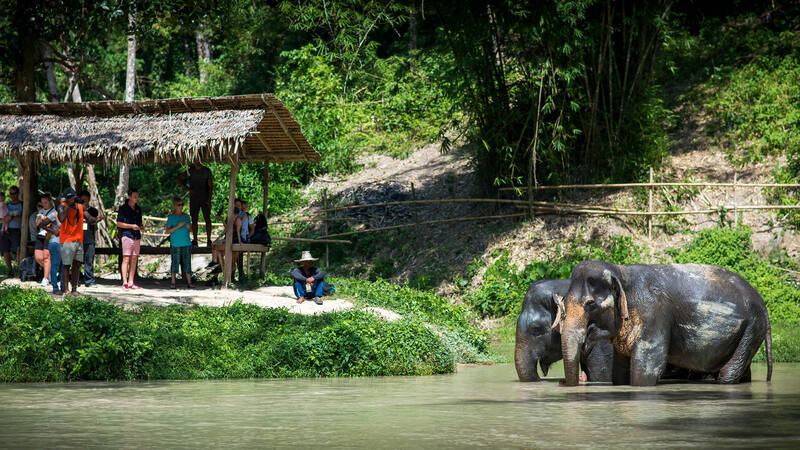 You will experience unforgettable moments with our gentle giants as you feed them, explore the sanctuary together and observe them as they bathe freely in our fresh water ponds. Our private guide is on hand to share knowledge and to answer all your questions. At the end of the program you will enjoy a personalized meal overlooking the sanctuary, which can be tailored to suit your preferences. This incredible VVIP program is based on availability, and advance reservations are required. Our CSR program is a fun and educational experience for Thai government school students, corporate teams and institutions that are passionate about elephants and eager to learn more about animal welfare and our work at the sanctuary. While joining our regular morning or afternoon session, our experienced guide will personalize the program for your group based on the age and specific interests of the participants, including plenty of opportunities to ask questions throughout the tour. This educational and inspiring program is provide for selected groups. Feel free to contact us for more information or special rates.